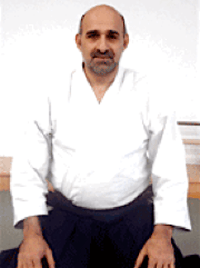 Claude Berthiaume is one of the 7 technical directors of the East Coast United States Aikido Federation (USAF). He has been awarded a 7th degree black belt in 2004 and the title of Shihan (Master Instructor). Claude Berthiaume began practicing aikido at the age of 17, under the direction of RenÃ© Gauvin. When the latter retired in 1972, Claude joined the Montreal Aikikai, directed by Massimo Di Villadorata. 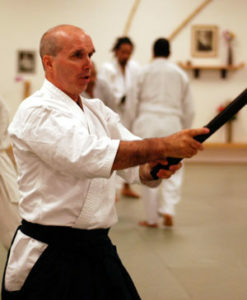 In 1974, he obtained his black belt and became the first Aikido instructor of the Service des sports at UniversitÃ© du QuÃ©bec Ã MontrÃ©al, where he was finishing his Bachelorâ€™s degree in Physical Education. At the same time, he began studying Iaido under Kanai Shihan. In 1983 he became co-founder of the Centre MÃ©tropolitain dâ€™Aikido and developed close ties with Yamada Shihan and more so Kanai Shihan, two students of Morehei Ueshiba, Founder of Aikido. Under their supervision, he traveled extensively in Canada, the United States, the Caribbean, South America and various European countries to attend over twenty seminars every year. In 1988, Centre MÃ©tropolitain dâ€™Aikido and Aikido Kensankai, an older MontrÃ©al dojo, merge to become Aikido de la Montagne. Berthiaume becomes the chief instructor a task that he has carried ever since. He teaches at the dojo 6 days per week.